Who doesn’t love salads? They are healthy options made simple, and the possibilities are endless. The salad formation process lets you take your creativity to the next level by combining different leafy greens with vegetables, fruits, nuts, cheese, and dressings to create an original masterpiece. However, sometimes it feels like it is impossible to form the perfect ingredient combination tossed within your leafy greens. Salads away from home always seem to one up your salad at home. I am here to guide you through the process of creating a salad that has a combination of salty and sweet flavors and includes the ultimate secret of taking your salad to the next level –the grill. 1-3 medium sized chicken breasts (depending on how many people you will be grilling for). Servings will vary depending on whom you are making the salad for. If you are creating a personal salad, I recommend putting the amount of mixed greens you would like to eat in a bowl or on a plate and work from there. 1. Marinate the fully thawed chicken breasts in Italian dressing or dressing of your choice. You can decide to marinate the chicken breasts from anywhere between 5 minutes to marinating it overnight depending on how long you want the meat to soak up the flavor. I prefer to marinate the chicken for a longer period of time, but if I last minute decide to make a tasty meal for myself, I will stick to marinating the chicken for a shorter period of time. 2. PREHEAT the grill on high for 10-15 minutes then scrape any previous remnants with your grill brush—all grill masters know this is a vital first step! 3. 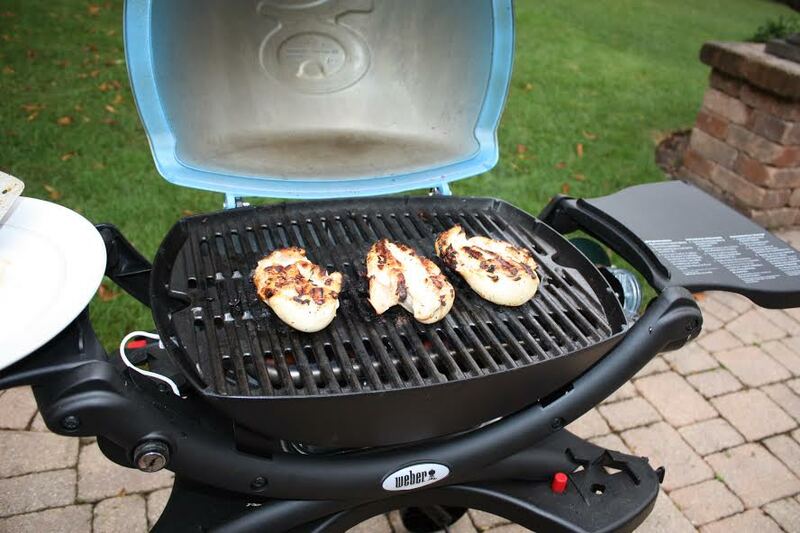 Adjust the temperature of the grill for direct cooking over medium heat at 425-450F. 4. 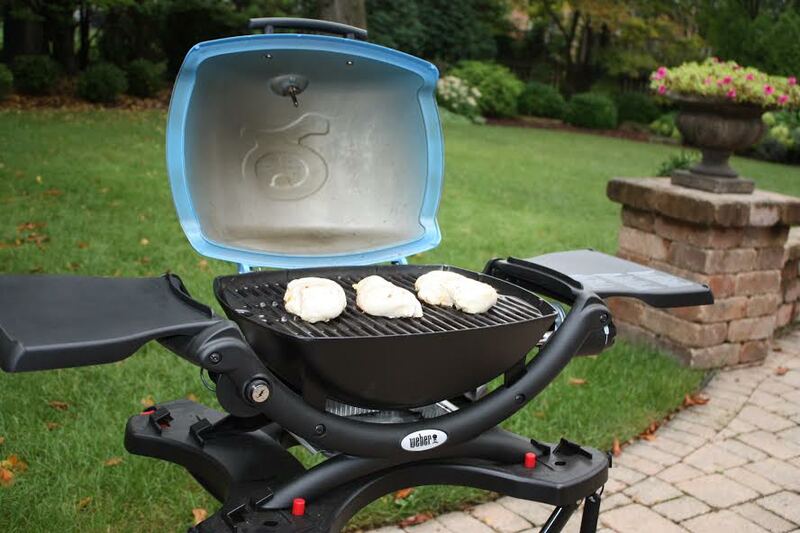 Place marinated chicken beasts on grill and grill for about 9-10 minutes. Flip the chicken breasts at the halfway point. I flip them around the 4.5 minute mark. I also like my chicken breasts to contain beautiful sear marks, but because we will be slicing the pieces to put in a salad it is not quite as important. 5. Check chicken's internal temperature using a cooking thermometer. Chicken's internal temperature should be 165F. 6. Remove chicken from grill and slice into thin pieces. 1. Arrange mixed greens on a plate or bowl. 2. Then add the thin slices of grilled chicken to the mix. 3. Now it's your time to please your taste buds- add strawberries, blackberries, cranberries, goat cheese and toasted almonds. Grillmaster tip: For even MORE flavor grill your strawberries and blackberries. Place your strawberries and blackberries in your grill basket for about 2 minutes. Grilling the berries will release natural sugars from these fruits, and will make your salad taste so good that you might not even need to drizzle any dressing on it at all! 4. You do not need to steer clear of the dressing; however adding raspberry vinaigrette will taste great with your chicken breast. 5. As the salad artist, it is up to you to shuffle around the toppings to make it look BEAUTIFUL. 6. 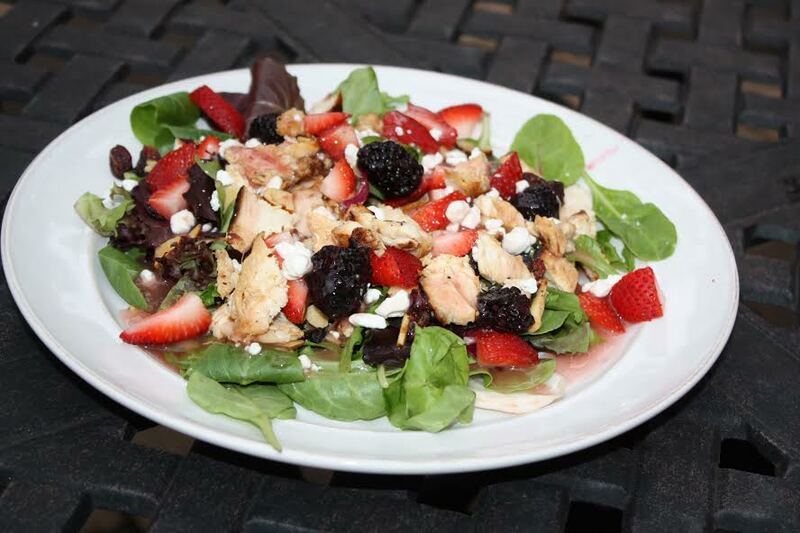 Pick up your fork, look into the heart of your Grilled Strawberry Chicken Salad and say, “It’s the perfect combination of sweet & and savory” before you take your first bite.